Visit Arc'teryx's Axios 25 page. 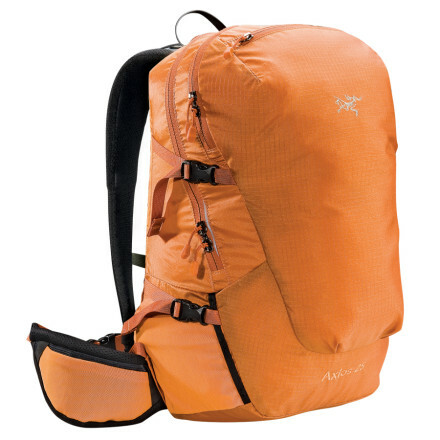 Arc'teryx had breathability and comfort in mind when designing the Axios 25 Daypack. An Aerofoam back panel plus Spacermesh straps and hip-belt will let perspiration evaporate away instead of collecting on your shirt. 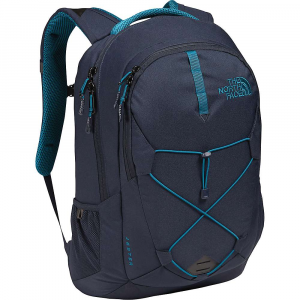 A lightweight, super-sleek design won't hamper your trail travels, and a full-length panel loading zipper configuration lets you access the pack's contents without wasting half your day digging around. On Sale. Free Shipping. Arcteryx Axios 25 Backpack DECENT FEATURES of the Arcteryx Axios 25 Backpack Lightweight, panel-loading with highly-breathable shoulder/harness straps maintains comfort during aerobic activity AeroForm backpanel disperses perspiration, improves breathablity 3D moulded frame sheet with anti barreling ribs plus anatomically shaped shoulder straps and elasticized waistbelt provide solid support while in motion Modular sternum strap Bioplastic top grab handle Four compression straps Key clip Micro daisy chains Kangaroo pocket, map pocket and stretch-mesh stash pockets on hipbelt Hydration bladder sleeve with HydroPort Modular hose clip and full-length U-zipper access AeroForm backpanel - for increased comfort and breathability 3D moulded framesheet with anti-barelling ribs Reflective blazes for enhanced visibility in low light Fits a standard 13 inch laptop Hydration bladder clip Breathable shoulder straps and hipbelt Padded, stowable hipbelt Panel loading Four compression straps - two on each side Activity: Nordic/Snowshoeing / Hiking The SPECS Material: Spacer mesh 100D Invista HT Mini Ripstop with silicone and PU coatings 420D Invista HT Plain Weave EV50 foam Hypalon trim 210D Ripstorm with silicone and PU coatings 840D Stretch mesh AeroForm mesh EV50 Perforated foam 6005 M-Bar custom extruded stays HDPE frame sheet The SPECS for Regular Weight: 24 oz / 0.69 kg Volume: 1526 cubic inches / 25 liter The SPECS for Tall Weight: 26 oz / 0.74 kg Volume: 1648 cubic inches / 27 liter Care Instructions Surface clean only This product can only be shipped within the United States. Please don't hate us. The Arc'teryx Axios 25 pack excels at lightweight trips on warm days. It's designed with a highly breathable suspension for maximum evaporative cooling. Anatomically shaped shoulder straps and hipbelt feature perforated foam and mesh for breathable comfort even in warm climates. Back panel is made of an air-permeable mesh, molded to create miniature peaks and valleys that provide airflow and cushioning. HDPE framesheet and dual aluminum stays with horizontal cross member provide load stability. Panel-loading design allows easy access to the contents of the main compartment. Hydration-compatible design features reservoir sleeve with a port and clip for drinking tube (reservoir sold separately). Zippered kangaroo pocket on front of pack is perfect for stashing rain gear or other items that you may need to access quickly. 4 external compression straps let you cinch down your load for jostle-free carrying. 2 stretch-mesh stash pockets on the hipbelt hold snacks or other small essentials. 2 stretch-mesh side pockets with elastic drawcords secure water bottles. Micro daisy chains allow gear to be lashed to the exterior of the pack body. 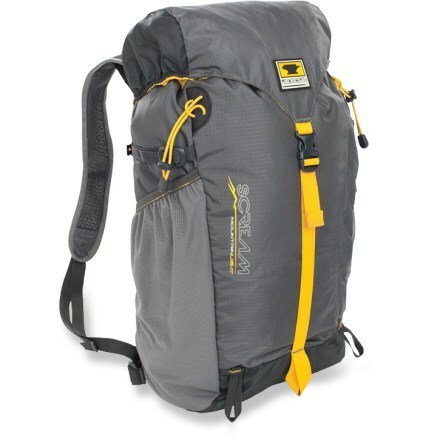 Arc'teryx Axios 25 pack features a silicone- and polyurethane-coated pack body made of 100-denier Invista HD Mini Ripstop(TM) nylon and 210-denier Ripstorm(TM) nylon. Drawing on years of technical climbing pack experience, the Arc'teryx Axios 25 Daypack puts technical utility into a lightweight, day-trip friendly pack. Arc'teryx loaded the Axios with features found on bigger packs to make the best of your day-long adventure, be it hiking, running or even nordic skiing. The first thing you'll notice about the Axios is the lightweight feel of the pack thanks to its technical Mini Ripstop nylon construction. 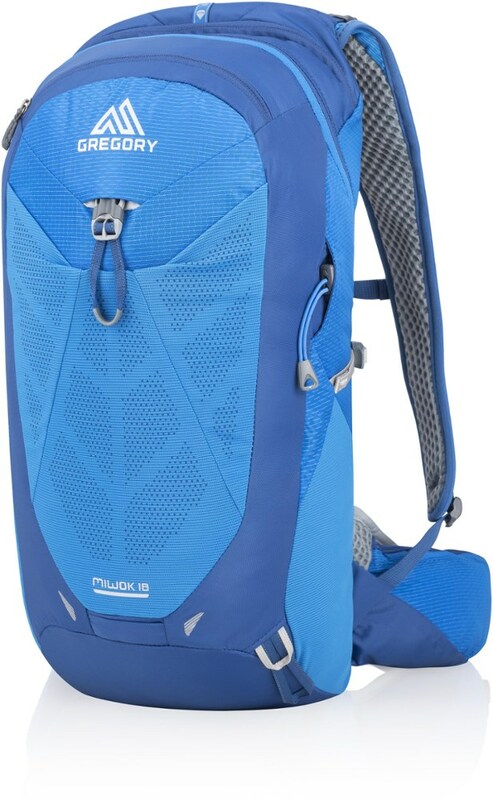 Next is the pack's AeroForm back panel and anatomically shaped shoulder straps. Combined with the formfitting hipbelt, the back panel and suspension deliver comfortable, breathable support, even in the warmest weather. The waistbelt can even be stowed when you prefer the simplicity of fewer straps. A large zippered kangaroo pocket compliments the smaller stash pocket and the pack's main body for storage. Inside, you'll find a secure pocket for valuables and dedicated hydration storage with hose portal. 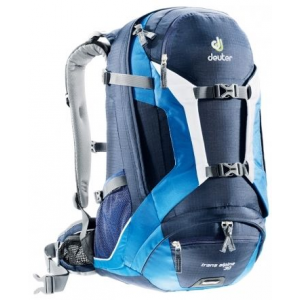 Dual compression straps help cinch down the load, and two side-mounted stretch pockets hold items for easy access. 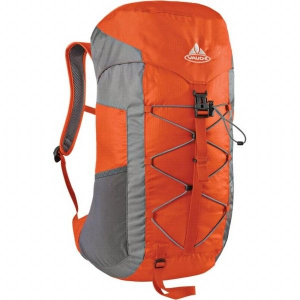 The Arc'teryx Axios 25 daypack is the answer to your multi-sport daypack dilemma. 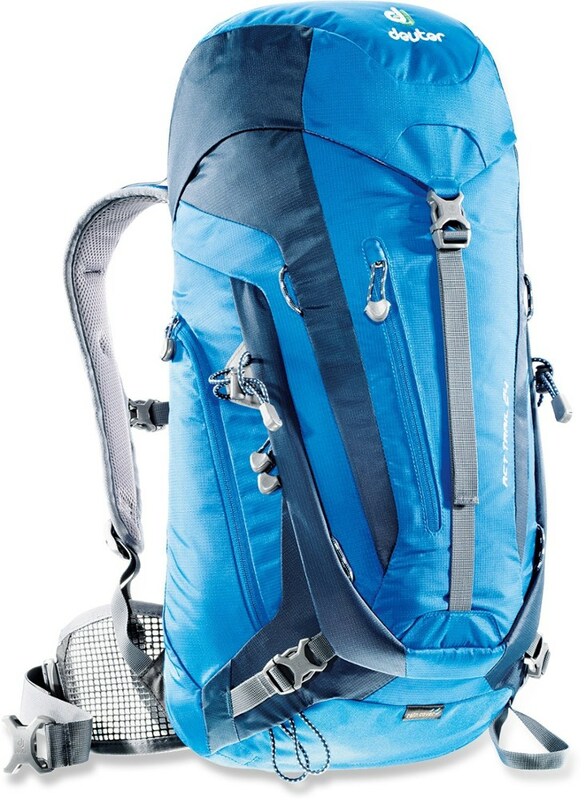 Lightweight, easy to use and comfortable, it's ready for your next adventure. The Arc'teryx Axios 25 is not available from the stores we monitor. It was last seen April 15, 2013	at Backcountry.com.